← Do you ever feel? 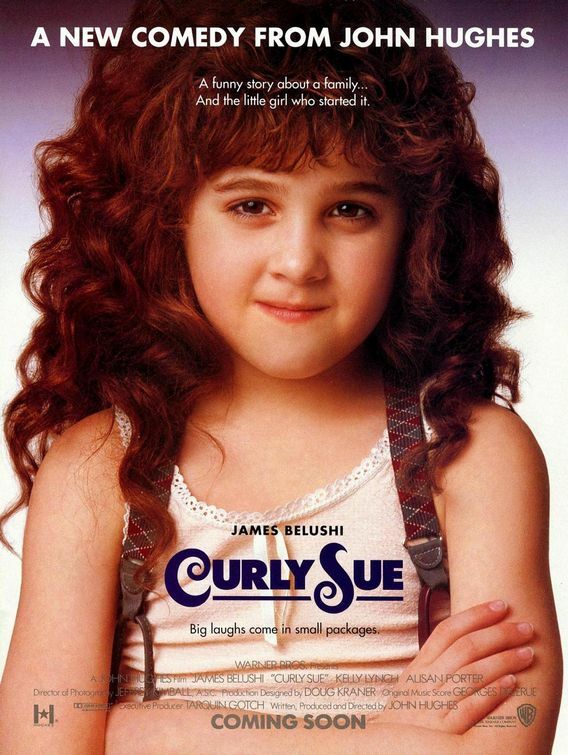 I remember watching Curly Sue as a kid and loving that cute little manipulative crazy haired girl. I felt my heart ache for her, growing up without her Mother and never really having a home. So when it was on the other night, I was ecstatic to watch it again and reminisce. Okay, so it just me or is anyone else freaked out by the fact that the storyline in Curly Sue progresses over a short two-week period?! This is a film, that I’ve always loved, with the cute curly haired little girl and her charming caretaker looking for a real family…touching right? But what caught my attention this time was Grey, the female attorney that takes them in. Well, the female attorney that they con into taking them in. Grey is driving along one day and accidentally hits a guy with her car. The guy gets a bump on the head and happens to have a little girl with him. Blah, blah, blah, she takes them to her house and calls a doctor to make sure this guy is alright. If he didn’t have Sue with him, she would have probably dropped this guy at the nearest ER, but the kid changes the situation. So, she lets them stay a few days. The kid turns out to be a charmer with this sad little story that makes Grey just want to love her forever. Oh, and Dan turns out to be pretty cute once you throw a suit on him and give him a bath. In a nutshell, within a two-week period, Grey breaks up with her boyfriend of four years, adopts a little girl and let’s a guy she just met move into her apartment. I mean, whoa. Right? I’m having anxiety just thinking about how quickly that whole thing transpired.